I bought a 4 TB external disk when it was marked down to a very good price. 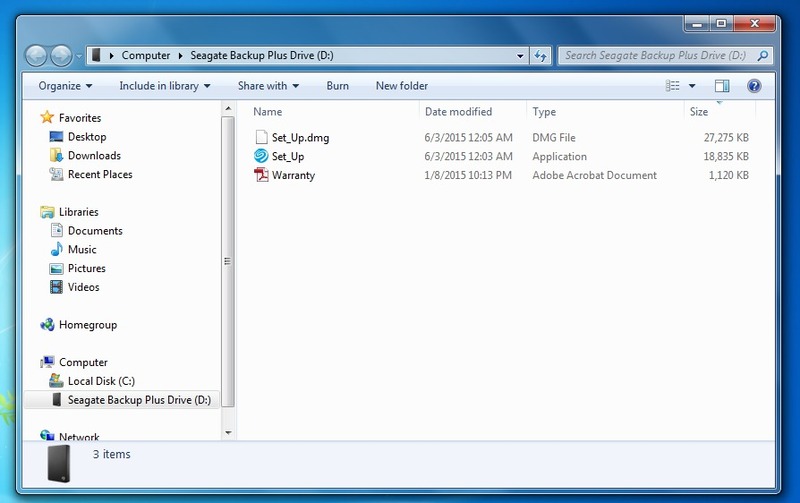 It's a SATA disk with a USB 3.0 cable, replacing a 1 TB PATA disk in an external case with a USB 2.0 connection. It's a 4:1 upgrade in storage capacity, and an even greater advantages in speed. 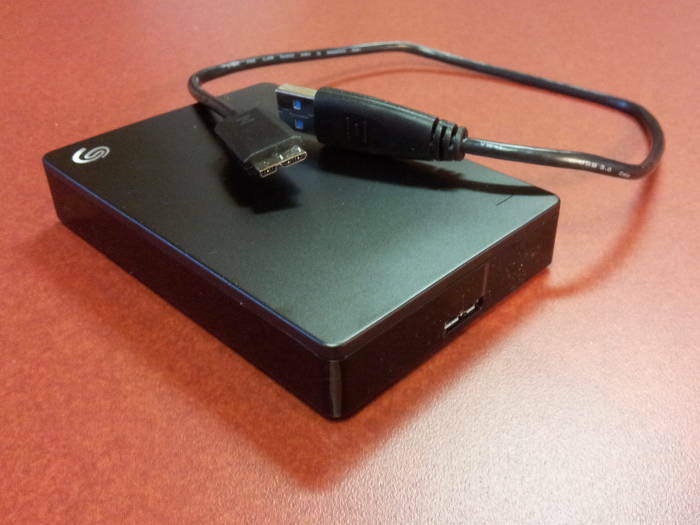 USB 3.0 provides 5 Gbps or 625 MB/s, over ten times faster than USB 2.0 at just 480 Mbps or 60 MB/s. SATA 2.0 does 3 Gbps or 300 MB/s, SATA 3.0 does 6 Gbps or 600 MB/s, and SATA 3.2 does 16 Gbps or 1969 MB/s. PATA had a maximum of 167 MB/s. My problem was that it did not appear at all as a disk device under Linux! The output of ls -l /dev/sd* showed the same set of devices both before and after I plugged it in. 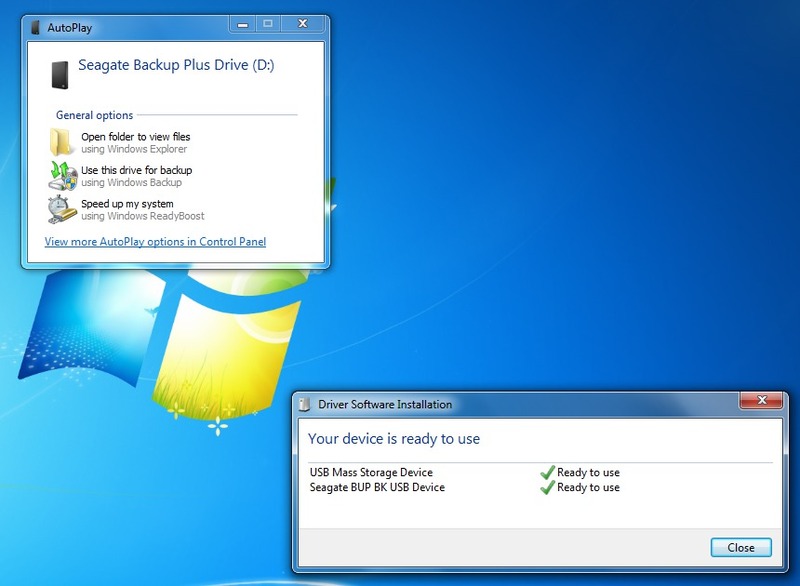 The short answer is that I deleted the existing partitions and created a new partition under Windows. That allowed it to show up as a USB-connected disk on both Linux and OpenBSD. Then I used parted on Linux to initialize a GPT or GUID Partition Table, create one partition spanning the disk, and create a file system. The details follow. First, however, a picture of the disk itself. I expected Linux to recognize the disk as a USB-connected mass storage device. The kernel should automatically create a new device /dev/sd[a-z]. Since I already have six fixed disks inside the system, and haven't yet connected any other USB devices, this should appear as a new /dev/sdg. But when I plugged it in, I still had just the existing disks sda through sdf. Mar 22 15:36:14 hostname mtp-probe: checking bus 4, device 8: "/sys/devices/pci0000:00/0000:00:13.2/usb4/4-4"
fdisk: disk too large (7814037167 sectors). size truncated. 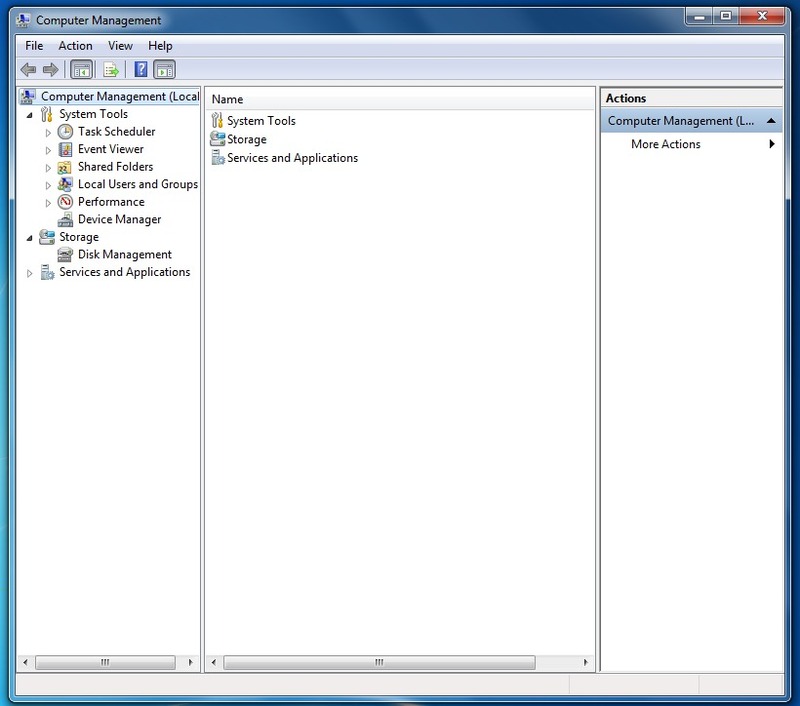 I click Disk Management in the tree within the left pane. Disk 0 appears as it does here because it contains first a 100 MB boot partition, the ESP or EFI System Partition containing the boot loader itself. The second partition of Disk 0 is what Windows see as its 100 GB C: drive. The majority of Disk 0, the 840 GB third partition, is a mystery to Windows. This is what OpenBSD sees as its /dev/sd0. See my OpenBSD and Windows multibooting page for details on how to set up Disk 0. Disk 1 is what I will modify here. 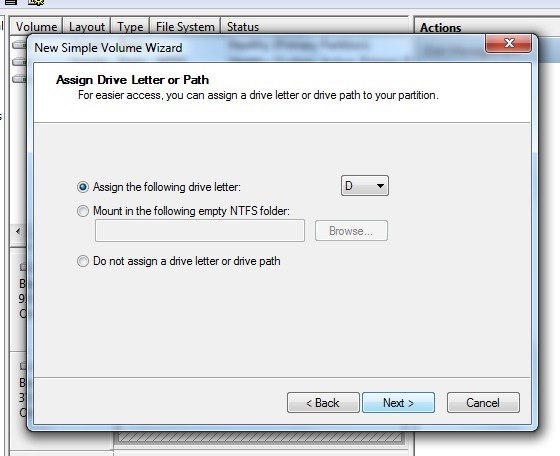 I right-click Disk 1 and select Delete Volume. 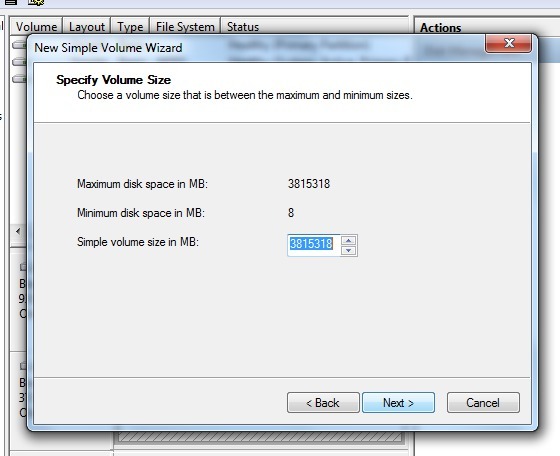 Now I can right-click the unallocated Disk 1 and select New Simple Volume. 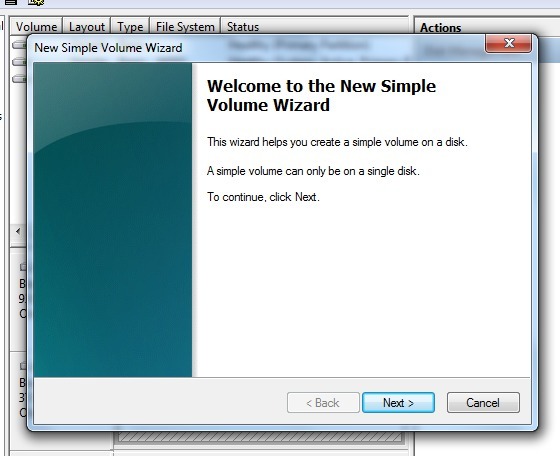 This starts the New Simple Volume Wizard. I will simply accept the defaults. 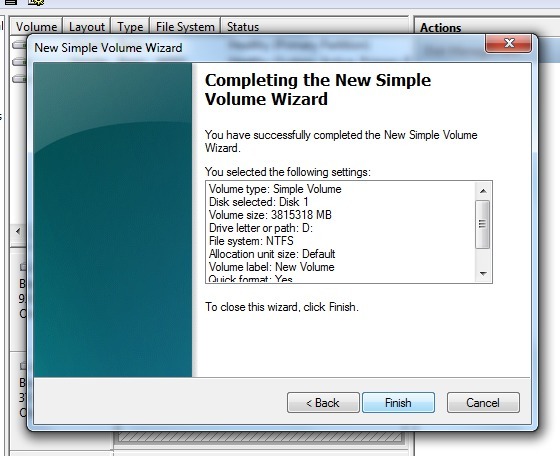 I have completed the five panels of the New Simple Volume Wizard by simply clicking Next and agreeing to the defaults, and finally clicking Finish. I could have selected Do not format this volume in the fourth screen and saved a few minutes. I plan to re-partition and then re-format the disk under Linux. The Wizard disappears, and I'm back to the Computer Management screen. 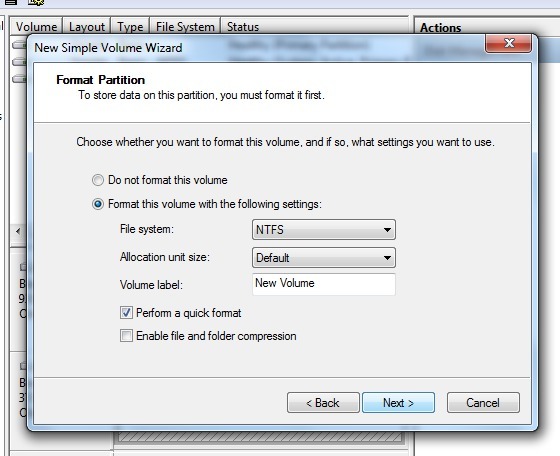 When the formatting is finished it now reports the new volume labeled "D:" with an NTFS file system. I exit the Computer Management tool and look at the properties of the D: volume. Now I move the disk to my Linux system. 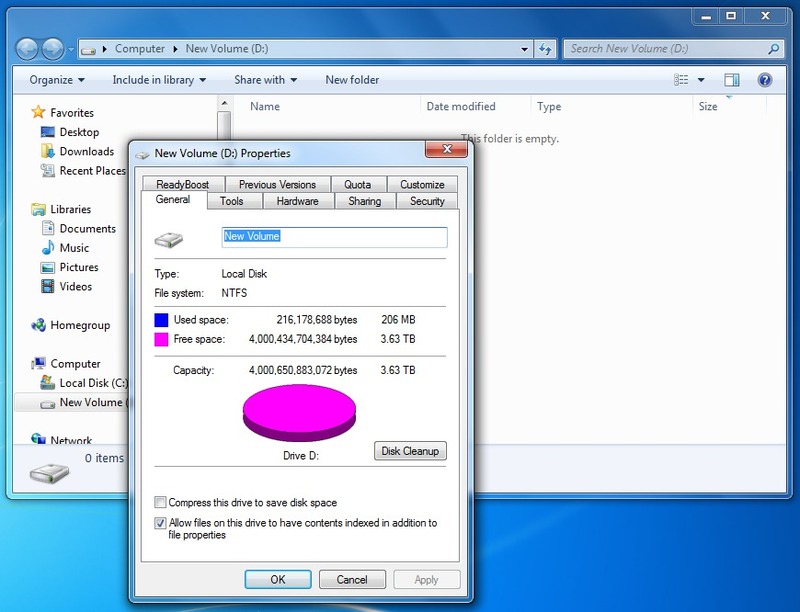 There is a 134 MB Microsoft Reserved Partition (or MRP) and a 4 TB NTFS partition. The MRP is created by Windows to support programs that otherwise would have used hidden sectors on a disk using the old MBR partition table format. That didn't go as expected, and things are a bit strange after I exit the parted session. The partprobe command doesn't help, so I reboot. If I planned to use this disk only on Linux, I could have created an XFS, Btrfs, or other file system. OpenBSD includes Ext2 family tools in the e2fsprogs package, so I made it an Ext4 file system. OpenBSD can mount it with mount_ext2fs, without the journaling features or SELinux labeling. Mar 22 18:10:42 hostname mtp-probe: checking bus 3, device 2: "/sys/devices/pci0000:00/0000:00:15.1/0000:0a:00.0/usb3/3-2"